Believe it or not, Thanksgiving is just around the corner -- followed by Black Friday, Cyber Monday and Giving Tuesday. This year on Giving Tuesday, we are offering you the opportunity to support the Passaic Neighborhood Center for Women. 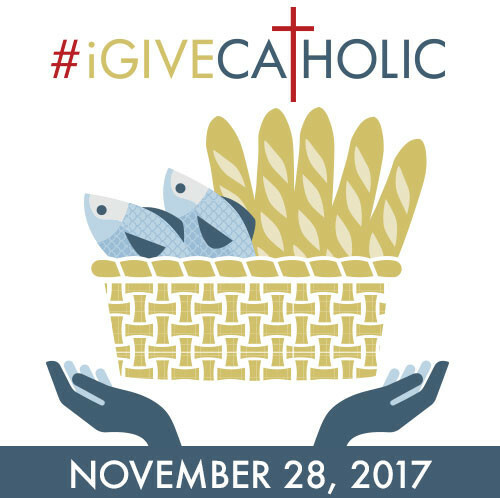 In collaboration with the Diocese of Paterson and #iGiveCatholic, we are participating in #Giving Tuesday from midnight until 11:59 pm on Tuesday, November 28. It's 24 hours of giving for the Catholic community, but you have the opportunity to make your gifts in advance beginning November 10 and running through November 26. Transactions made on iGiveCatholic.org are secure and your donations of $25 or more are tax deductible. You can find more information about #iGiveCatholic by visiting iGiveCatholic.org (clicking on this link takes you directly to the Passaic Neighborhood Center for Women page). We know that there are so many competing financial priorities at this time of year, and we thank you for considering Passaic Neighborhood Center for Women among them. We will send out more information as we get closer to the "early giving" time on November 10. In the meantime, would you share this information with at least one friend? Thank you! We are grateful to our volunteer, Sister Maria Pia Arca, a novice with the Sisters of Christian Charity for leading our first-ever prayer group on Friday, September 29. Given the current stressors in the lives of our women, they were so very grateful to be able to spend an hour in prayer together. This fits in beautifully with our goal of helping our women to grow wholly -- body, mind and spirit. Another hour of prayer will be offered this Friday. We will be sure to remember your intentions.